Some people do what they are called to do, and the world is changed in ways big and small. Paul Vasterling, CEO and Artistic Director of Nashville Ballet, has grown Nashville Ballet from a small local company to a regional powerhouse arts organization doing what he loves. Financially and artistically thriving, the Ballet has renovated and expanded its space, with a grand opening of its new facility on May 30th. I couldn’t be more impressed by what Paul has done at Nashville Ballet – and I couldn’t be more impressed by him personally. Paul has a gentle spirit and an agile mind; a deep kindness; clear vision; and that rare quality of discernment that seems to inform it all. Today he took a break from preparing for next weekend’s performances of A Midsummer Night’s Dream to talk about books and ballet. Paul, I know you play piano and read in your spare time. What are you reading right now? I am reading a translation of the Persian story Layla and Majnun, which we’ll be transforming into a ballet next season, The Lord of the Flies by William Golding and The Art of Asking by singer/composer Amanda Palmer (thanks, Jennifer!). Well, I am a very sincere piano player (read: not that good technically, but I love it), and I am picking my way through three Adam Guettel (grandson of Richard Rogers) songs that I am choreographing in collaboration with Nashville Opera and John Hoomes. They are beautiful songs that delve very deeply into life and death. Otherwise, one of my go-to pieces when I relax is Confidence from Felix Mendelssohn’s Songs Without Words (Mendelssohn wrote the score to A Midsummer Night’s Dream). Another go-to is the first piece from Claude Debussy’s Children’s Corner Suite, which is called Doctor Gradus ad Parnassum. It’s one of my favorites. Are there any other books on your nightstand table, either that you’ve just finished or that you want to read? Yes! All the Light We Cannot See by Anthony Doerr is one I just finished and loved. I was pretty much obsessed with it. I’m just finishing up The Assassination of Margaret Thatcher by Hilary Mantel. I have not yet read her books Wolf Hall and Bringing Up the Bodies, but those are at the top of my list. She’s pretty dark and complicated, so I’m looking forward to her take on these often told stories about Henry VIII and his court and wives. I do love your recommendations! It’s random – sometimes it’s because of a ballet I’m working on staging or producing. I also tend to get stuck on authors. If I read one book by someone, I tend to read another. I like fiction a lot, but I’m also happy to read nonfiction, particularly history. What are some of the books you remember most from childhood? Misty of Chincoteague by Marguerite Henry was a favorite as were all the Black Stallion series by Walter Farley. (There’s a theme there – I had a pony growing up.) I loved Charlotte’s Web by E.B. White and The Borrowers by Mary Norton. My mom always read to us, and I think that’s where my love of stories comes from. My favorite when I was really young was a book about a lost dog, Harry by the Sea by Gene Zion. Would you consider any books formative or highly meaningful as a teen or young adult? All and every book by J.R.R. Tolkien. Talk about obsessed! I loved the way he created an entire world complete with mythology and history. Gone with the Wind was another I loved. My eighth grade teacher taught us Macbeth, not usually on the list for that age, but I loved it. I haven’t forgotten those classes and that reading – so dark and creepy. I think it gave me my taste for the gothic. Do you have a favorite author (or author)? Favorite book (or books)? There are so many! My favorite nonfiction book would have to be Apollo’s Angels, which is an extensive, interesting history of ballet that traces its place across four centuries. 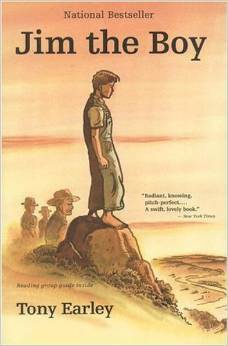 My favorite piece of fiction is probably Jim the Boy by Tony Earley (I just read the sequel to it, The Blue Star). His images are so lyrical, simple and just right – they really stick with me. I’ve been on the board of Nashville Ballet for a number of years and over that time have been learning the “language” of ballet. One of the things I’ve learned is that there are two basic kinds of ballets, a “story ballet” and something that’s not based on a story. I’m sure there is a technical term for the latter but I don’t know it yet! What are the most famous story ballets, and which are your favorites? We call the nonstory ballets “abstract,” I guess for lack of a better descriptive term. The most famous story ballets are Swan Lake, The Nutcracker, Giselle, La Sylphide and The Sleeping Beauty. My favorites are Swan Lake and Giselle, and I love La Sylphide. I am intrigued by what is called the romantic ballet – the period in the 19th century when ballet was greatly influenced by romanticism. The ballets were full of ghosts and otherworldly creatures, and this is where ballet’s “lighter than air” qualities began. 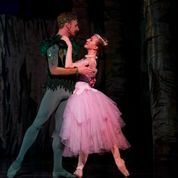 Nashville Ballet presents A Midsummer Night’s Dream next weekend, April 24-26 at TPAC’s Jackson Hall. What is special about this ballet? I think it’s beautiful and funny. Shakespeare’s story, although complex, is a good place to hang lots of dances. Even though it’s a ballet, the story is very clearly told. I think my best choreographic skill is telling stories, so it is really important for me that folks don’t have to read extensive program notes to know what’s going on. Speaking of romantic and romanticism, my vision (along with the costume and set designer Campbell Baird) is influenced very much by old romantic lithographs. The choreography is highly inspired by Mendelssohn’s gorgeous music. He wrote a small amount specifically to accompany A Midsummer Night’s Dream, but I’ve expanded and arranged it – along with a couple sections from his string symphonies – into my own unique score. I’m really drawn to this music, and it’s performed just beautifully by the Nashville Symphony for this ballet. I’ve known since the early ‘90s that I wanted to make this story into a ballet, and it’s great to bring this one back from 2010’s debut. I recently found the receipt for the purchase of my copy of the play – August 29, 1993 from the old Tower Books on West End. What if you aren’t a huge fan of Shakespeare? Why would this ballet be interesting or beautiful? 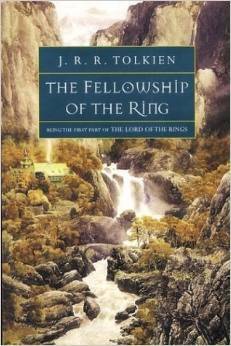 The story is universal and timeless, and I think it can resonate with anyone. It’s ultimately about long-term relationships and partnerships. The central characters, Oberon and Titania, are immortal and they’ve been married forever. Thinking about both the rewards and challenges around such a relationship is fodder for romance and comedy. There’s also a mix up between two sets of lovers and we see the crazy things we do when we’re love. And then, of course, there’s the magic that exists in a love affair when it’s right and good. I think a great synonym for this ballet is “snapshots of a marriage.” You’re able to see and relate to the different stages every relationship goes through – no matter where you lie on the spectrum. It’s a really funny ballet for all ages. People don’t often equate ballet to comedy, but in this production our dancers are really able to flex their comedic character work. It’s a lot of slapstick humor (lovers’ quarrels and a love potion gone hilariously wrong) that has a universal appeal. I understand that next season is a special one for Nashville Ballet. What are the highlights? The next season marks our 30th anniversary, so it’s certainly a special one for us. We’re bringing back several favorites from our past like Peter Pan, Nashville’s Nutcracker, Carmina Burana and Degas and the Little Dancer. Our annual Attitude series is a great way to showcase the contemporary facets of the company. I have a few collaborative surprises in the store for that. Dracula is also a great contemporary addition to our season, which comes just in time for Halloween. Certainly a highlight for me is Layla & Manjun, which is a piece I’ve been working on for quite some time and premieres in April of next year. The piece portrays the culturally popular Persian myth Layla and Majnun. The renowned Richard Danielpour is composing a completely original score for the piece, and it’s a story he has long hoped to adapt into a theatrical work as well. It explores themes of love, devotion and artistry in a really beautiful way that I’m thrilled to bring to a new audience. Nashville Ballet’s new space, still under construction, looks fantastic! How do you feel about the renovation and expansion? The renovation is coming along great. We publicly launched the ELEVATE Campaign to fund our expansion in June, and to see this amount of change in such a short period of time is truly tremendous. We’ll officially unveil the new space at our public grand opening Saturday, May 30 from 10 a.m. – 2 p.m. with tons of free dance classes, tours of the new building and just an all-around fun atmosphere. We really want to bring the community in to see who we are, what we do and where we’re going. I look forward to seeing you there! Congratulations on a successful capital campaign and the phenomenal growth of Nashville Ballet. Your leadership inspires confidence. Thank you for sharing all of your gifts with our community. A lovely surprise this Monday morning – and wonderful ideas for my next book. I love the way the written text of great stories can help inform our experience watching ballet based on those stories. I first had that realization watching Midsummer Night’s Dream the last time Nashville Ballet presented it. Very insightful and informative interview! Thank you Paul for your insightful and thoughtful views. Nashville Ballet has developed in repertoire, skill and growth with you at the helm. Working on the capital campaign has been a wonderful and interesting journey….so glad we are near completion with something so tangible and incredible to share with our community. What a lovely pas de deux of an interview! This read like a conversation between friends and it was utterly captivating. Regret that I am too far away to enjoy the Midsummer romp in the woods in person. Thank you, dearest Cousin Jennifer, for sharing your graceful ways with the written word with all of us! So proud to be a part of Nashville Ballet! Paul is an incredible thought leader and a master at the helm of the Nashville Ballet. He is incredibly inspirational. Thank you, Jennifer, for a delightful interview showcasing Paul. Our public grand opening on May 30 of our new space will be a proud day for many- especially to expand our ability to serve Nashville with the inspiration of dance!